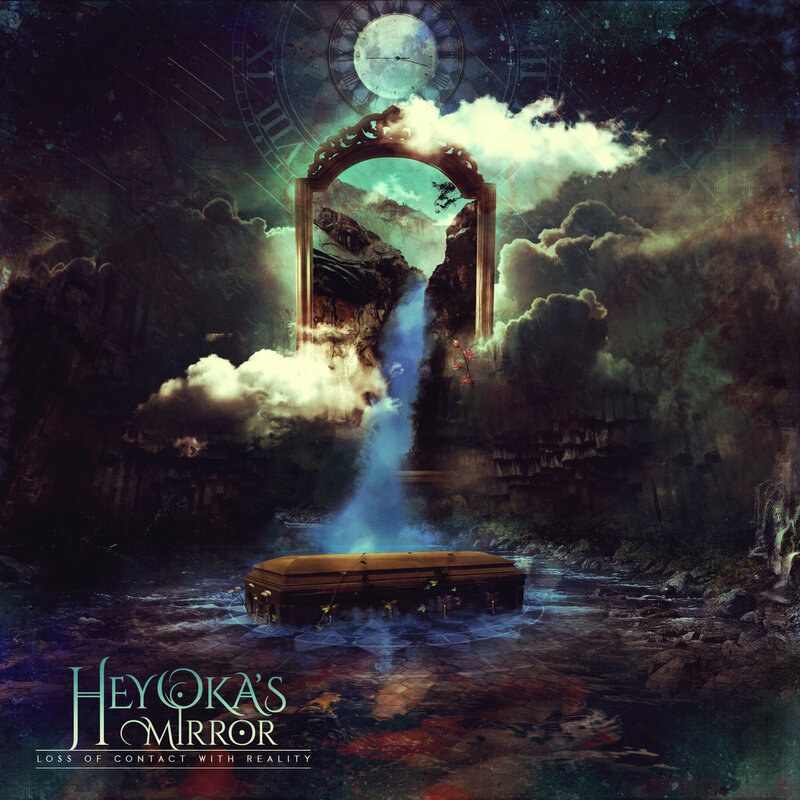 Prog Metal trio from Calgary, Alberta in Canada, Heyoka's Mirror recently launched their debut EP "Loss of Contact with Reality" (reviewed here), and in a new interview for Metal Horizons they tell us about what it took to come up with this release, their favorite albums, influences, etc. HM: We’re doing great! Life is easy, we’re alive, playing music and loving your review, thank you very much! You released “Loss of Contact with Reality” EP recently. How do you feel about the release? HM: We are so happy the EP is finally out! And we are so happy that everyone is loving it! After playing the songs and listening to them hundreds and hundreds of times… you kind of get use to them and you forget how much you actually love them. So, it kind of feels strange seeing people reacting in such a positive way! How much of a challenge was to work on the release? What other artists similar to your genre that are coming from Canada are you friends with? Andrew: “Illuminated Minerva” - we’ve only played with them once so we’re not really close friends, but you gotta listen to those guys! … Who else? There’s not a lot of prog in Alberta and we haven’t played outside of Alberta so we don’t really know anyone else in Canada. “Southbound Crow”... They’re not prog, they play hard rock… but you have to listen to these guys! They are from Calgary and they are just awesome! Omar: I like it but I think it’s getting a little robotic now. The general thing I see is that the melody part is missing from a lot of these new prog bands. But when I listen to Animals as Leaders… I love the super technical side of it and also that there is still a lot of melody in it! Which is the key thing that gets me excited about music. Andrew: New prog or “djent” is very percussive… it’s all about polyrhythms and “see how far I can jump” but it’s missing melody and feel. The problem is that now everyone is trying to sound like everyone else and now prog it’s just a bunch of polyrhythms and crazy open position triads and arpeggios. I’m not gonna lie to you…. I love it! Hahaha… who wouldn’t? It’s amazing! But it’s making prog sound like gymnastics and not music anymore. HM: But of course… there is still a lot of AMAZING prog! Haken, Animals as Leaders, Steven Wilson, Dream Theater, Neal Morse, Tesseract, etc… These guys are revolutionizing music. Bayan: My groove side is influenced by funk, 80’s and 90’s music, my technical side is influenced by Animals as Leaders, and my metal side is influenced by Arch Enemy, As I Lay Dying and August Burns Red. 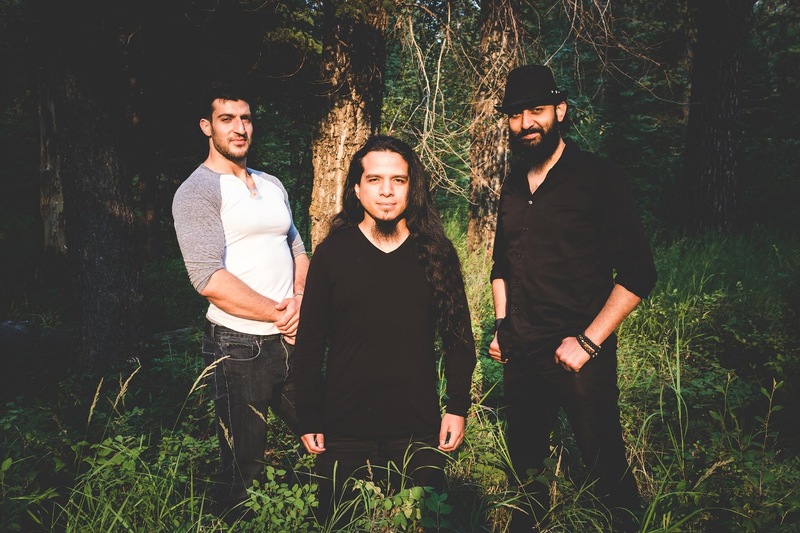 Omar: A lot of prog like Neal Morse, Steven Wilson, Dream Theater. Lately I’ve been getting into a lot of Animals as Leaders; I think Tosin Abasi is a brilliant man. When it comes to my guitar playing… Steve Vai, Joe Satriani and John Petrucci. Andrew: Vocally… I’ve gone through many phases. When I started singing, back when I was 14, I wanted to be just like James LaBrie, then I started taking classical singing lessons and I discovered Nightwish, and I thought that the combination of metal and opera was so awesome and I always wondered why nobody else was doing it. Then I got into anything that Mike Patton was involved in… That man is a genius. After many years of training and many influences, I have found my own voice. For keyboards… The one and only, Jordan Rudess, but I’ve been getting into a lot of jazz lately and my main influences at the moment are Cory Henry and Jacob Collier. For guitars… I knew I wanted to play heavy and with an 8 string guitar the moment I listened to Tosin Abasi and Meshuggah. Andrew: Meditation music, binaural beats, and Jacob Collier. Bayan: A lot of Bee Gees. Can you tell me a little bit more about the gear you use to record “Loss of Contact with Reality”? Bayan: I used a Meridian Maple Mapex and Sabian cymbals. Omar: I used a JP signature Ernie Ball Majesty, two Jackson guitars, and a Wolfgang Eddie Van Halen signature guitar. For amps, I used the Mesa Boogie Mark V with a 4*12 Mesa cab. For effects, I used a simple Boss delay, a Digitech Whammy Pedal, a John Petrucci TC electronics Dreamscape, and a noise gate… Very simple. Andrew: I used a Roland Fantom G8 and a Roli seaboard rise for keyboards. For guitars, I used an 8 string Agile Intrepid going into a Peavey 5150 and a Laney Ironheart amp; both amps going out to two 2*12 Mesa Boogie cabs. For effects, I used an Axe Fx II. Omar: We will start recording our first Full length album in March 2018 and hopefully have a small five city “tour”. We want people to know who we are during this coming year. Bayan: Be prepared… you’re in for a scare. Omar: Listen to the EP with headphones, listen to it and pay attention to it and let’s see what you think. If you like story based music, this should take you on a little journey. Andrew: Get ready to… Lose contact with reality. Stay in touch with Heyoka's Mirror via Facebook.